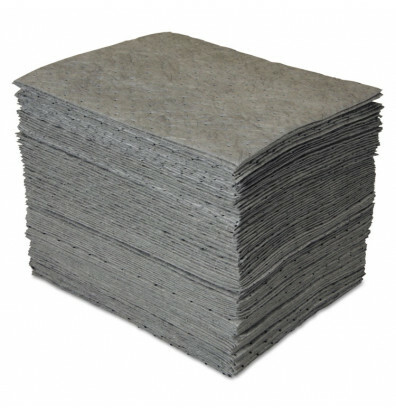 SPC GP MAXX enhanced sorbent pad absorbs and retains water, oil, petroleum, and chemical-based fluids. Heavy duty dimple-pad design provides high performance and durability. Convenient easy-lay, easy-remove single-ply format for a simple cleanup. Spill capacity up to 0.25 gallons. Pack of 100. Absorbs water, oil, petroleum, and chemical-based fluids.